RE is committed to your Continued Education needs. By offering seminars that address relevant and timely issues, our aim is to enrich and help build your skills so that you can be prepared to effectively address the most important issues faced by contractors today. Today’s building owners and facility managers face increasing cost challenges, one of which installing home elevators. Our seminar discusses the value of home elevators, planning for home elevator installation and code considerations. Identify benefits of installing a home elevator. List pre-planning options for how to accommodate for a future elevator in the design of a home. Understand design requirements for different types of residential elevators.  Use the national standard ASME A17.1 Part 5 Private Residential Elevators to implement the code requirements for residential elevators.